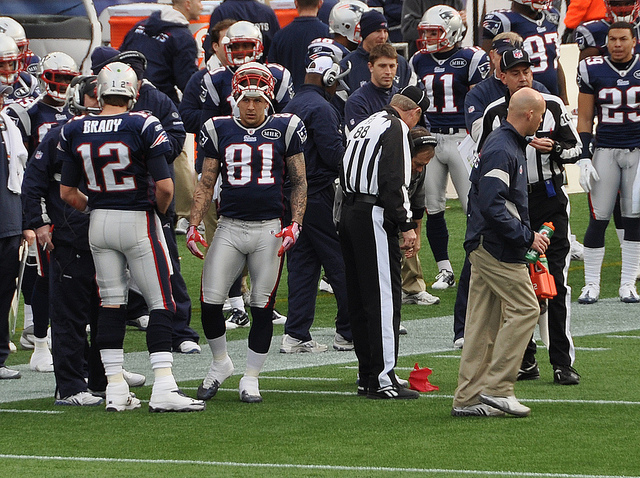 Almost a week after Aaron Hernandez’s associates were officially charged with the murder that has kept the former Patriots tight end incarcerated since June 2013, another new development has appeared — 24-year-old Oscar Hernandez, Jr. (no relation) has been arrested on “federal charges of lying to a grand jury, obstruction of justice, and witness tampering,” according to The Boston Globe. As a result of the associates being charged, the prosecution will no longer have to prove that Aaron Hernandez was explicitly the one who fired the shots that killed Odin Lloyd in order to find him guilty. Lloyd was a 27-year-old football linebacker for the Boston Bandits of the New England Football League who had a relationship with the ex-Pat. Hernandez, who was alleged to have been a paranoid PCP user by Rolling Stone, was considered a risky pick going into the 2010 NFL draft, and saw his stock plummet as a result. Hernandez, Jr., on the other hand, was indicted by Florida police after one of the guns Massachusetts police say were found in the football star’s home was traced back to the Sunshine State. Oscar Hernandez, Jr.’s perjury and obstruction of justice charges stem from his assurances that he did not buy a gray Toyota Camry and have it shipped to Aaron Hernandez’s Massachusetts home, according to the indictment. Police found one of the suspicious guns in a gray Camry in the tight end’s garage, according to The Globe. The Hernandez case has generated a lot of media attention since the player’s arrest in June 2013, and so far Hernandez has plead not guilty to one count of murder. 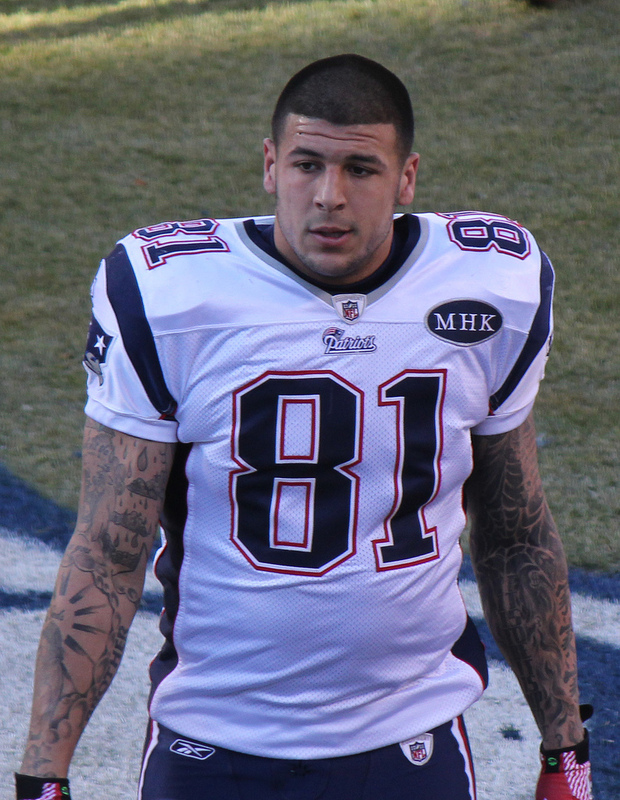 Wesley Lowery, formerly of The Boston Globe and LA Times, tweeted that “with all 3 charged w[ith] murder, prosecutor won’t have to prove which was the shooter under MA’s joint venture law.” Before the star athlete’s associates had been charged, the prosecution would have had to prove that it was Hernandez that pulled the trigger.